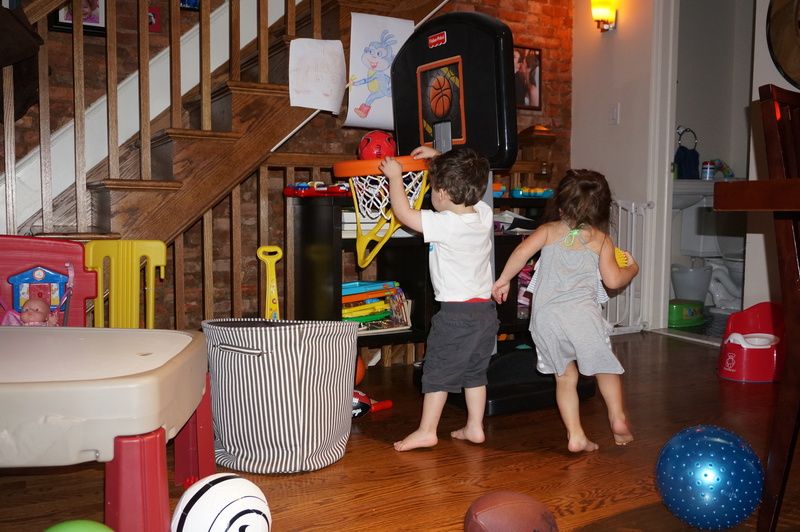 It was basketball time in our home tonight. The basketball hoop made it’s way back on the main floor and the kids were ready to slam balls in the hoop. Excitement bounced off the walls along with the balls. It was electrifying watching them play. The cheers that filled the room had the laughs rolling. The kids no longer needed us to lift them to make a hoop. 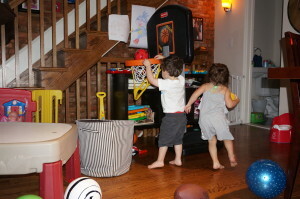 They were tall enough to reach the hoop on their own and actually make shots one after another. The giggles after each basket and oh’s after each miss filled my heart with happiness. I felt that my insides were going to explode with all the love that was filling it. At one point as Giovanni was shooting the ball he screamed over and over, “Go Gio Go, Go Gio Go.” Cheering himself on with the biggest smile which in turn had my husband and I chanting the same thing. His reach was perfect and the ball went in the hoop. He continued cheering himself on while doing a little dance. It was the sweetest most cutest thing ever. Isa liked to position herself right at the hoop so she could easily make the shot. The smile on that girls face brought sunshine in our home. The interactive play and ball talk continued for another 20 minutes. I was able to enjoy the sounds around me and smile myself. At one point, I just stood still and stared. Both Gio and Isa broke my stare by screaming my name as if it was my turn to play. I picked up a ball and made my way to the hoop. The kids cheered as they proudly said, “Good job, mommy” for some reason I felt as though I made a 3 pointer from miles away. These two really know how to make you feel loved, appreciated and thankful. See you at the next game!